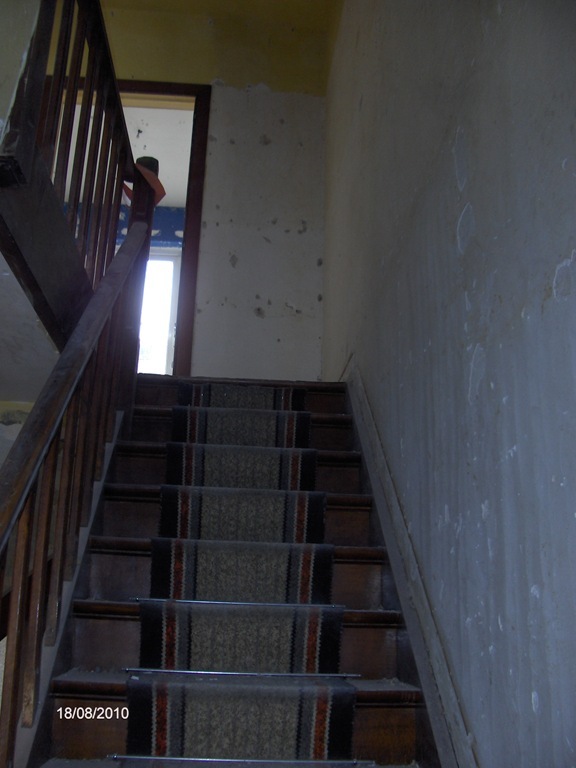 A lot of houses have old staircases that have been hidden under layers of ugly carpets or vinyl. The good news is that once those layers have been taken away, the wood beneath is usually well conserved. But once removed the cover, you will find an ugly painted staircase and you’re left with the choice about what to do. Considering that the elements of a staircase in most cases are: the tread, the riser, the stringer, the landing and the balustrade with handrails and posts (see picture – source www.interiordezine.com), which parts should you sand? Which parts should you paint? Well, everything is possible but it will depend on the budget and on the style you want to obtain. Usually, the cheapest option it to paint everything. However, with “traffic” of people going up and down, the paint on the treads risks to be damaged after a certain period of time. That will leave you with a newly renovated staircase that looks already uncared. The most expensive option is to sand everything, including the posts. If the posts are all curvy, sanding them will require a lot of work and buying new (wooden) ones might probably be cheaper. All other options in between are possible and used in the majority of cases: for example you can sand the tread and the rise and paint the whole balustrade; or you can sand the tread and handrail and paint the riser, the stringer and the posts; or you can sand only the tread and paint all the rest and so on. The effect will be different and will impact the style of your staircase and house. Painting the riser will for example make the tread look like it’s floating. Sanding the handrail will let you appreciate the touch of wood while painting it will make it look an elegant ensemble with the posts. 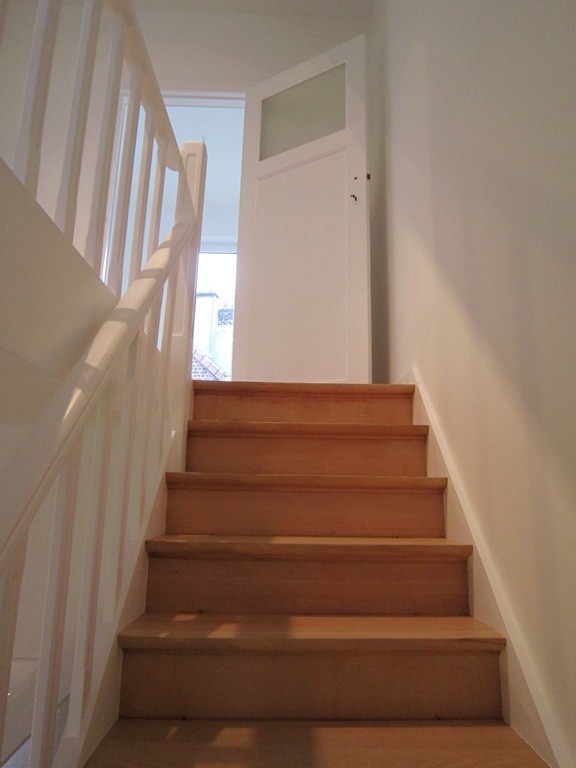 Here below a dark-wood staircase whose tread and riser have been sanded and the rest painted in white.